You'll find a fantastic selection of personalisable items and unusual gift ideas for every occasion. We also have a range of personalised gifts and glassware for those special occasions such weddings, anniversaries, christenings and birthdays. If you're looking for a unique present idea, why not browse our gift range for inspiration. 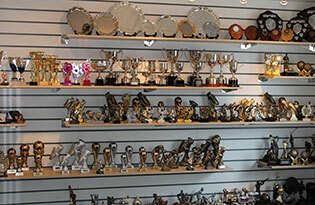 For superb quality trophies and awards, hand engraved by experienced craftsmen, then look no further. We provide a personalised service and fast turnaround to ensure your trophies and awards are always ready for the big day. From our showroom in East Kilbride, Glasgow we provide a wide range of competitively priced medals, cups, plaques, custom glassware, silver salvers and medals to local clubs, schools, community groups, leagues and sporting associations. 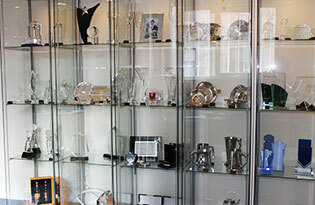 At Claymore Trophies & Engraving we offer a customised service, engraving your existing design or design a specific corporate logos onto your own personal gifts and awards . 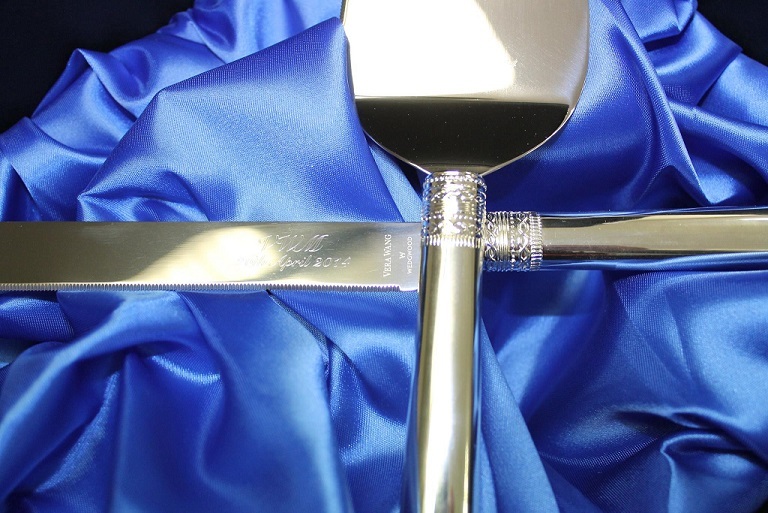 All items are engraved in-house, for that personal touch, thereby offering an efficient and quality service.